be healthy. be radiant. be well. I love this soup. It’s so, so filling and is so good for you. I originally made it with your typical white cauliflower, but when I went to get cauliflower to make it, all I could find was purple and yellow. In hindsight, I wish I would have chosen the yellow one, but I thought purple would be something fun and different. The taste didn’t vary using purple cauliflower over white, so you choose which kind you want to use! 1. Heat 1 tbsp. ghee in a pan over medium heat and cook mushrooms until tender and golden. Take the mushrooms off the heat and set them aside. 2. Heat 1 tbsp. butter over medium heat and add onion, garlic, and salt and pepper to taste. Sauté until tender. 3. Add the cauliflower florets to the onion and garlic mixture remaining in the pan and sauté for 3-4 minutes. Add the broth to the mixture, cover, and simmer for 10 minutes. 4. Add coconut milk to the mixture in the pan and simmer, uncovered for another 10 minutes. 5. Turn off heat , remove soup and add i t to a high speed blender or use an immersion blender and blend until creamy and smooth. 6. Turn the stove onto medium- low heat and pour mixture back into a deep pan or pot, add the mushrooms back in. 7. Stir in the apple cider vinegar, oregano flakes, garlic powder, cayenne pepper, and crushed red pepper. Let simmer for a few minutes. Enjoy! Hi ! 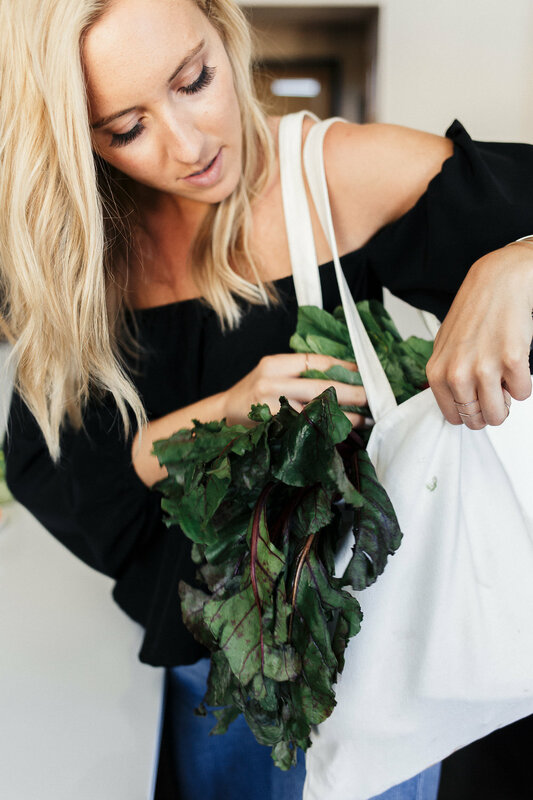 My name is Ashley Carlson and I am a Holistic Health + Wellness Coach, lover of life and doing what feels good for the soul. My journey towards health + wellness is what makes me so passionate about helping others (you can read my story here). 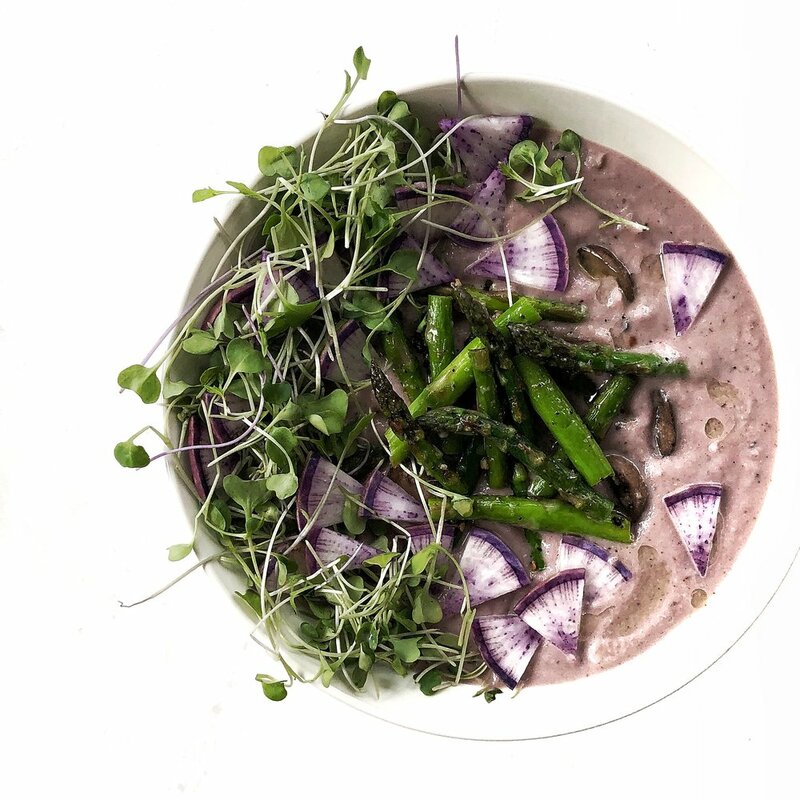 I love creating healthy recipes that taste amazing, inspiring women to lead their best lives, pilates + yoga, sunny vacations on the beach, and reading/listening to podcasts on all things health, wellness, and nutrition. I'm also a huge lover of essential oils and love learning about crystals and astrology. Basically, I am always learning and I love it. Now I want to know, how can I best serve or inspire YOU?! 5 Steps to radiant health, glowing skin and vibrant energy is on it's way to your inbox!